Finnish Industry Investment’s Board of Directors has appointed Jan Sasse, MSc (Econ), aged 49, as the company’s new President & CEO, with effect from 6 March 2017. 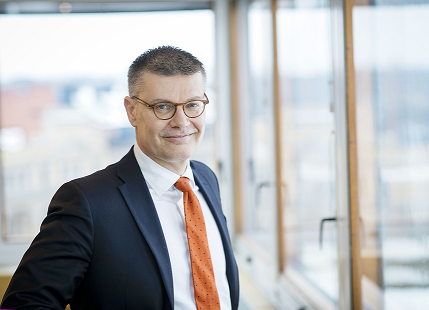 Martin Backman, Finnish Industry Investment’s incumbent President & CEO, will take up a new position as CEO of Aktia Bank p.l.c. on the same day. Jan Sasse has headed Finnish Industry Investment’s Growth Investments team since 2015, with responsibility for direct investments in growth companies. He has long international management experience in both investment and consulting fields in companies such as Accenture, Norvestia and Satama Interactive. Jan has also gained experience working on the boards of companies undergoing international growth and in the healthcare sector, in companies including Coronaria Hoitoketju, Stella Homecare, Idean Enterprises and Yellow Film & TV. Jan Sasse holds a MSc (Econ) from Helsinki School of Economics. “I’m delighted at being appointed President & CEO of Finnish Industry Investment. The company plays a central role both in financing growth companies in Finland, and in promoting the international expansion of Finnish companies. It will be rewarding to continue with Finnish Industry Investment’s skilled personnel along our chosen development path. We will keep up our good work as a financer of Finnish businesses and an active player in the venture capital & private equity industry,” says Jan Sasse.